Link to Important Announcement of March 21, 2011 on the updating of the majority of subclades in Haplogroup R.
R1b and Subclades YDNA Haplogroup Project, Charles Kerchner. YDNA Haplogroup R1b-U106/S21+ Research Group, Dan Draghici. R-P312 and Subclades Project, Vincent Tilroe, Richard Stevens. Corrections/Additions made since 1 January 2011. Added L159.2, L163, L176.1, L176.2, L277, L295, L365, M100.1, M100.2, S169.2, S170, S171, S172, S173, S179.1, and S179.2 on 6 February 2011. Removed S8 from haplogroup R and moved to haplogroup P on 8 March 2011. Changed contact person from Vincent Vizacerro to David Reynolds on 14 March 2011. Removed M100.1 and M100.2 and added L261, L263, L288, L294, L381, L384, L385, M367.2, M368.2, Page4 on 17 March 2011. Added L6, L96, L188, L195, L196, L237, L268, L320, M228.2, P89.2, P314.2 on 21 March 2011. Added L50/S136, L194, L220, L221, L238, L253, L276, L289, L326, L362, M228.1, P278.2, S50, S69 and more haplogroup projects on 22 March 2011. Added Charles Moore to the Contact list on 22 March 2011. Added Vince Tilroe to the Contact list on 23 March 2011. Added Page 44.2, Page65.2, Page84 on 24 March 2011. Added .1 to L49 and also added more in Notes section on 29 March 2011. Added Page29, Page37 and moved L238/S182 from R1b Private to a subclade on 1 April 2011. L196 and P66 are no longer coded private on 26 April 2011. Added information on relative locations for M126, M160, P207 to Notes on 26 April 2011. Moved L366 from R1a Private onto the tree and added a statement concerning it in Notes on 26 April 2011. Added L555 to R1b Private SNPs on 29 April 2011. Moved P278.2 from R1a Private onto the tree on 29 April 2011. Added L128, L259 to R1b Private SNPs on 30 April 2011. Removed private designation from L96 and L362 on 14 June 2011. 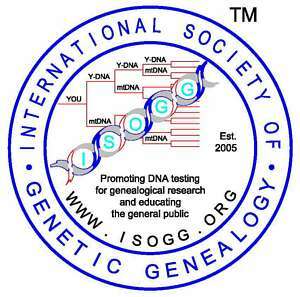 Added comparison charts of FTDNA and ISOGG on R1a and R1b by Diana Gale Matthiesen on 29 June 2011. Added S47 and removed L157.2 on 6 July 2011. Added DF5 on 8 July 2011. Added S216 as aka for private R1b SNP L3 on 10 July 2011. Corrected L277.2 to L277.1 on 14 July 2011. Added Z8, moved L562 from private to the tree, changed subclade for S47, and changed notes on L3, M157.2 and M126 on 23 August 2011. Added Z18, Z19 and added a Note znc modified a note regarding those snps on 5 August 2011. Changed L220 to L220.1; added L141.2, L459, L594, L617, L625, L626, L627, L628, L629, L641, L642, L643, L644, L653, L654, S42, Z49, Z367 on 6 August 2011. Added L342.2, moved Private SNPs, Notes and Papers to a separate file, changed note about M56, added note about L342.2 on 7 August 2011. Added S191, S215; and added note on DF21/S192, DF25/S253, Z246, and Z248 and note DF23/S193 on 10 August 2011. Changed note on L625, L626, and L627 plus added R-DF21 and Subclades project on 10 August 2011. Added L584 and note about L405/L584 on 11 August 2011. Added R1a1a and Subclades Y-DNA Project to Additional Resources on 31 August 2011. Added Z36, Z49 (moved from R1b private), Z56, Z142 to tree and L671 to R1b Private SNPs on 4 September 2011. Placed formerly private snps L371, L627 on tree and added private snp L658 on 14 September 2011. Removed L277.1 from tree and revised note on 20 September 2011. Added Z93 on 20 September 2011. Removed S69 from notes on request of Jim Wilson on 21 September 2011. Added Z9 and Z381 to the tree and S44 to R1b Private SNPs on 21 September 2011. Aded DF25, L657, S253, Z246 to the tree and revised note on Z248on 27 September 2011. Placed L263, L554 on tree and modified notes about R-L21 and R2a-M124 on 30 September 2011. Added L720 on 6 October 2011. Added Z2, Z7, Z280, removed coding for private from P89.2 and modified note about M56, M157.1 etc. on 8 October 2011. Removed V45 from R due to inconsistencies in testing on 13 October 2011. Added SNPs under Investigation category on subpage on 31 October 2011. Added R-L165 (S68) Project to Additional Resources on 31 October 2011. Added Z1, Z11, Z156, Z301 on 13 November 2011. Added Peter Hrechdakian's name to two projects in Additional Resources on 14 November 2011. Added Note about DYS439-Null on 14 November 2011. Moved L132.1 from R (Private SNPs) to F on 20 November 2011. Moved L200 from Investigation to tree on 19 December 2011. Added Z12, Z253 on 21 December 2011. Added L132.2 to R1b Investigation on 22 December 2011. Added Z255 to R1b Investigation on 28 December 2011. Added content expert Lawrence Mayka on 28 December 2011. Moved L448 from R1a Investigation to tree on 28 December 2011. Moved Z367 from R1b Investigation to tree and added Z34, Z144 to R1b Investigation on 28 December 2011.